The original center in the mountains was destroyed during the genocide, so it's now located in the town of Musanze. 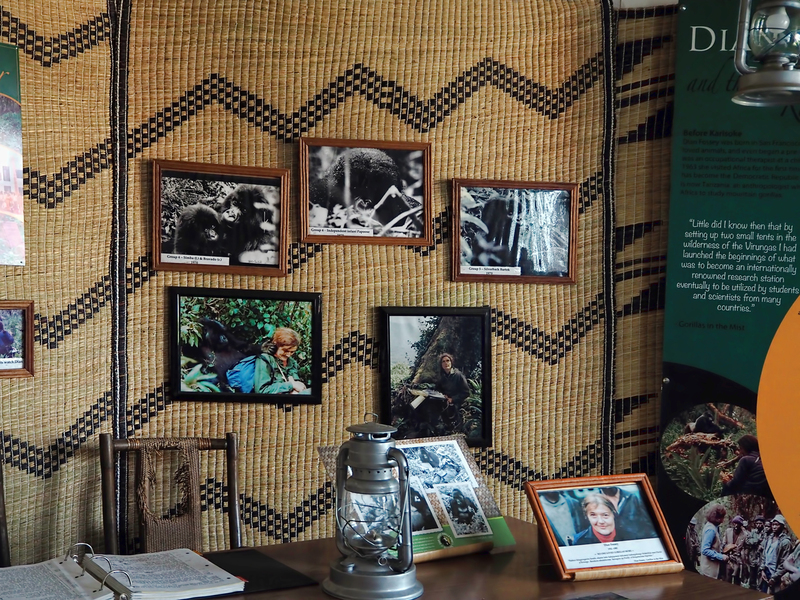 There's a museum open to the public, with exhibits on everything you could possibly want to know about the mountain gorillas and the ecosystems of the Virungas. This is Dian Fossey's desk, with reproductions of her field notes.